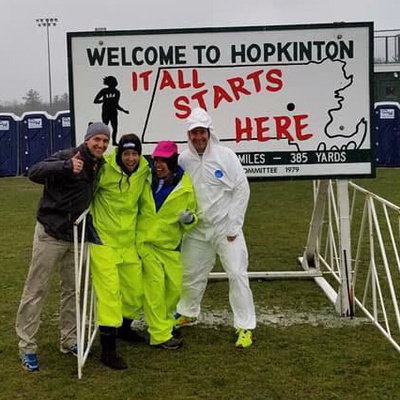 Lisa and Julie, along with special guest Lindsay Thomas, discuss all of the pre-race happenings in Boston, including a detailed weather forecast, courtesy of Zach Hawkins. 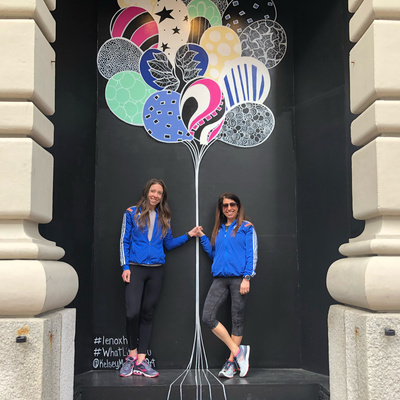 Lisa and Julie provide all of the planning, packing and racing tips you need to run your best Boston Marathon. After the coaches provide their own last-minute tips and tricks, they welcome native Bostonian, Boston Marathoner, and Boston Marathon announcer, Rachel Glazer, who provides essential Boston Marathon spectating tips. 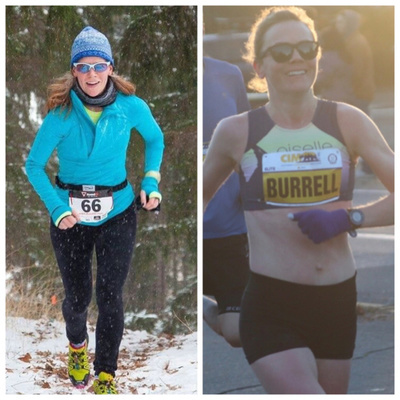 As Boston 2019 approaches, we wanted to bring to our listeners two Boston Marathoners to watch, Karen Howe and Teal Burrell. Karen Howe Karen is an eight-time Boston Marathoner who recently achieved a PR at age 42 at the NYC Marathon in a time of 3:10. Karen talks about her running journey, including how she has become faster as a master. Karen has two children and resides in Rochester, New York. Teal Burrell Teal, a member of the elite Oiselle Haute Voilee Team, progressed from a four hour marathoner to a two-time Olympic Trials Qualifier. Teal discusses how she whittled down her marathon time to achieve a new PR of 2:39 at the California International Marathon. Teal has one child and resides in Richmond, VIrginia. Both of these ladies are women to watch, and we hope you enjoy hearing their motivating journeys as much as we did. 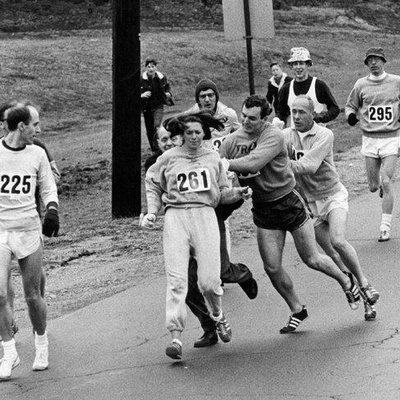 After Lisa and Julie discuss their training, Kathrine Switzer, the first official female entrant to finish Boston, joins the podcast. Kathrine shares how running has impacted her life and how she continues to use running as a vehicle for social change through her empowering organization, 261 Fearless. Kathrine details her 1967 Boston Marathon experience and so much more! To find out more about Kathrine, including her speaking schedule in Boston, check out Kathrine's website. After Lisa and Julie discuss the highs and lows of the week, including some tough news, they welcome Matt Fitzgerald to the podcast who discusses his new book, Life Is a Marathon, among with his philosophies on training, racing, mental fitness, nutrition, and Boston strategy. Matt, as the author of over 20 running books, including 80/20, How Bad Do You Want It, and Diet Cults, provided a ton of great information in this packed episode. Julie and Lisa interview two phenomenal mother runners, Brenda Hodge, a mom of four who placed 5th in the masters division at the Boston Marathon in 2018, and new mom and Boston Marathoner, Jane Mellors LeBel, also known as the blogger, JaneRunsWild.com and on Instagram as @Janerunswild, who is training to re-qualify. 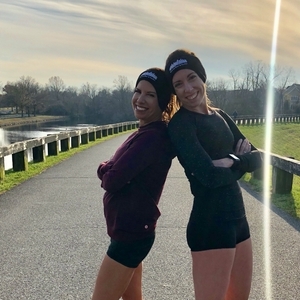 Both women share their tips for running strong while staying injury free.. Following a brief recap of training and life, Lisa and Julie welcome back coaches and seasoned Boston Marathoners, Ken Trombatore and Dan DiFonzo, who provide loads of crucial tips on how to properly race the Boston course. After Lisa and Julie discuss their training for the week, they welcome two coaches, Ken Trombatore and Dan DiFonzo. Ken, Dan, Lisa and Julie, who have collectively run over 50 Boston Marathons, discuss all aspects of the Boston Marathon from training and preparing (Part I) to race execution (Part II). In between they share funny stories, insider tips, and why this race is unique. This is a must-listen for all who are headed to Beantown to race this historic course. 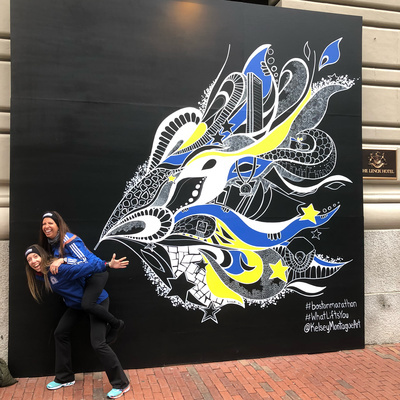 After Lisa and Julie review their Boston training and racing for the week, Boston Race Director, Dave McGillivray, joined the podcast to discuss all aspects of the Boston Marathon and beyond. 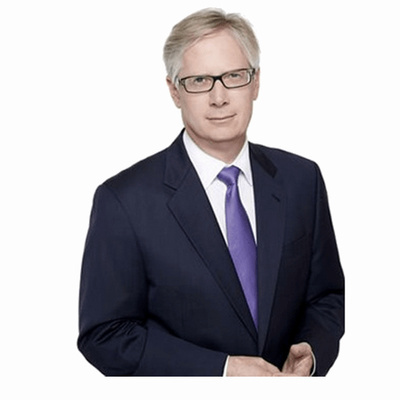 Every listener will benefit from Dave’s insight and experience! Dave is an accomplished athlete, philanthropist, author, motivational speaker, and the founder of DMSE Sports. After Lisa recaps the wet and wild RRCA 10 Miler, Julie and Lisa welcome Beatie Deutsch, AKA, “Speedy Beatie,” Israel’s fastest female runner, mother of five, and an Olympic contender. 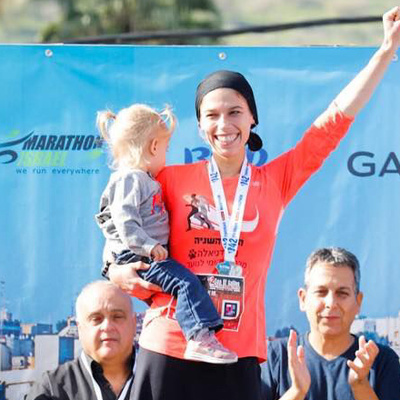 Beatie talks about her training, how she conquers obstacles, and why running with an attitude of gratitude has helped her become the fastest female in Israel. Beatie can be found on Instagram @marathonmother and Facebook @BeatieDeutsch Beatie dedicates all of her miles to the charity, Beit Daniella, a residence for teens recovering from mental health challenges. To donate, check out the link in her instagram profile. Following a discussion about their Boston Marathon training, Lisa and Julie welcome Christie Aschwanden, the lead science writer for FiveThirtyEight and the author of GOOD TO GO: What the Athlete in All of Us Can Learn From the Strange Science of Recovery. She’s the co-host of EMERGING FORM, a podcast about the creative process. Christie talks about the importance of recovery in training and dispels some of the myths behind recovery and discusses multiple types of recovery, including hydration, sleep, massage, ice, and heat. After a discussion on their Boston Marathon training, including Lisa’s love for Slim Jims, Julie and Lisa welcomed CNN Correspondent, Tom Foreman, author of My Year of Running Dangerously, ultra runner, and 2018 Boston Marathon Finisher. Tom offers wise training advice and tips that apply to running and life. After Lisa and Julie recap their Boston Marathon Training this week, they welcomed renowned sports psychologist, Dr. Jennifer Lager, founder of GAME (Get a Mental Edge), who provides practical tips on how to train the brain to be a better runner and human. Dr. Lager’s advice for developing a mental strategy in training for execution on race day will undoubtedly help all runners get a mental edge. Episode 6: Bonus Episode. 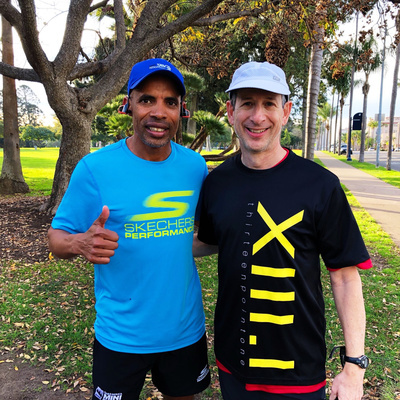 That Time When DC Area Runner, Mike Wolf, Met and Ran with Meb! Episode 3: Fueling for the Boston Marathon with Registered Dietitian, Amy Goldsmith of Kindred Nutrition. Tune in for weekly episodes during this 14 week training cycle with Run Farther & Faster coaches, Julie and Lisa, for tips on training for Boston.